Make this fabulous BBQ sauce a day or two before the holiday and it can be used on anything you decide to grill. It is especially good on ribs, pork chops and chicken. I usually make a combination of some pork chops and some chicken because that is best for a crowd. Don’t forget plenty of vegetables to grill for your vegetarian friends. This sauce is great on veggies as well. Heat the oil in a medium saucepan over medium heat. Add the onion, season with 1/2 teaspoon salt and 1/4 teaspoon pepper and cook, covered, stirring occasionally, until tender, 5 to 6 minutes. Stir in the garlic and cook for 1 minute. Add the tomato paste and cook, stirring, for 2 minutes. Add the ketchup, molasses, vinegar, brown sugar, chili powder, Worcestershire, dry mustard, cayenne, allspice and 1/4 cup water and mix to combine. Simmer, stirring occasionally, until thickened, about 5 minutes; remove from heat. Baste the meat with some sauce during the last 2 minutes of cooking. Transfer meat to a platter and baste again with more sauce. 8 bone-in pork chops (about 8 ounces each and 1-inch thick). 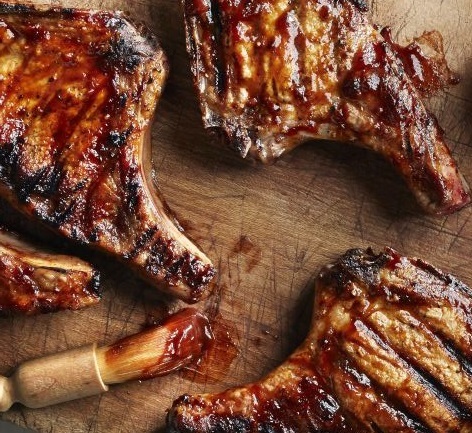 Grill pork chops until just cooked through, 5 to 7 minutes per side. Bone-in Breast, Leg & Thigh 12-15 minutes per side. The cheese mixture can be prepared in advance. Do not assemble the bruschetta until just before serving, otherwise the peaches will turn brown and the bread will lose its freshness. 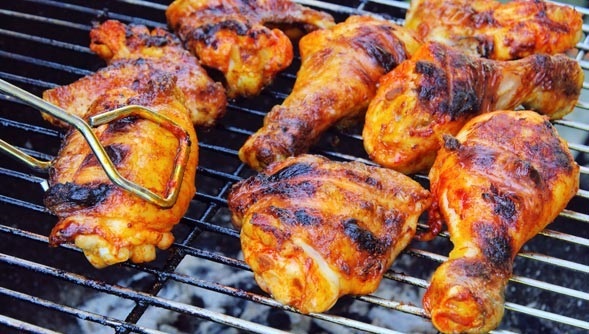 Preheat an outdoor grill to high. Oil the grates. Lightly coat bread slices with olive oil; grill 2 minutes on each side or until toasted. Combine mascarpone and next 3 ingredients (through cream cheese) in a small bowl. Stir in 1 tablespoon basil. Spread cheese mixture evenly on the toasted bread slices. Wrap each peach wedge with 1 prosciutto slice. 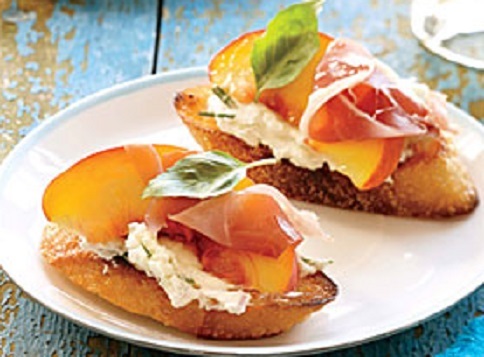 Top each bread slice with 1 wrapped peach wedge.Arrange bruschetta on a serving platter and sprinkle with remaining chopped basil. This type of potato salad goes well with the rich BBQ sauce used on the meat. It can also handle the July heat much better than mayonnaise dressed salads. Place potatoes in a large saucepan and cover with lightly salted water. Bring to a boil. Reduce heat; cover and simmer for 10-12 minutes or until tender. Add the green beans to the pot during the last 5 minutes of cooking. While the potatoes are cooking, whisk together the oil, lemon juice, herbs, vinegar, lemon peel, salt and pepper in a measuring cup or small bowl. 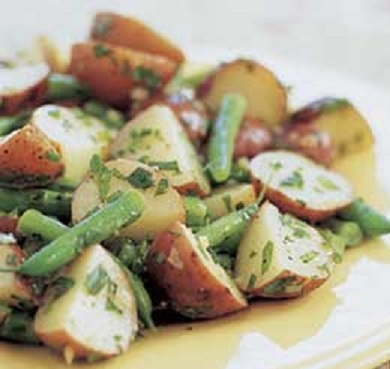 Drain potatoes and green beans. Place in a serving bowl; add onion and pour the lemon dressing over the potatoes; toss to coat. Alternate tomatoes and onion on an attractive serving platter. 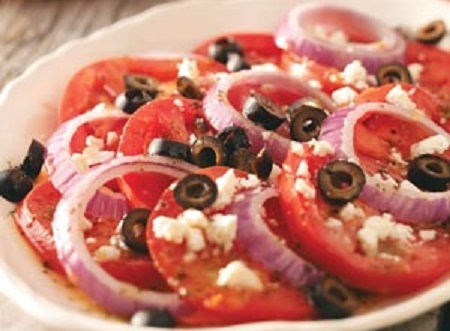 In a small bowl, whisk the oil, vinegar, garlic, basil and oregano together; drizzle over the vegetables. Top with the sliced olives and then the cheese. Serve at room temperature. 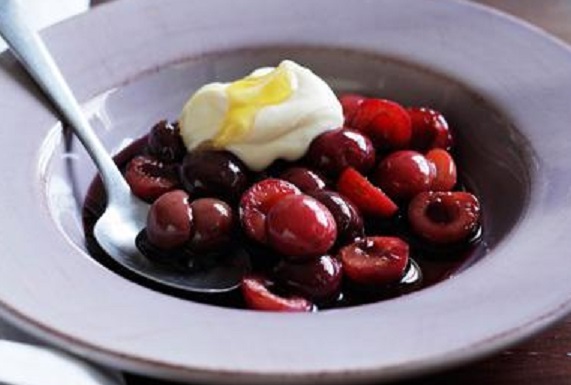 .Combine first 3 ingredients in a medium saucepan over medium-low heat; cook 3 minutes or until berries begin to pop, stirring frequently. Set aside. Weigh or lightly spoon flour into a dry measuring cup; level with a knife. Place flour, baking powder and salt in a food processor; pulse 3 times to combine. Add butter and lemon zest to the processor and pulse until mixture resembles coarse meal. 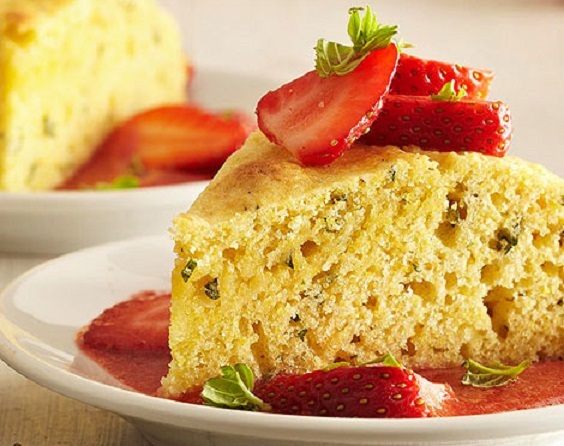 Place mixture in a large bowl; add milk, stirring just until moist. Turn mixture out onto a lightly floured surface and pat into an even rectangle about 1/2 inch thick. Cut dough into 8 even wedges. Place wedges one inch apart on a baking sheet. Combine egg white and 1 tablespoon water in a small bowl. Lightly brush the tops of the wedges with the egg white mixture; sprinkle evenly with sugar. Bake for 20 minutes or until golden brown. Cool on a wire rack. Place cream in a medium bowl; beat with a mixer at medium speed until soft peaks form. Add powdered sugar, beating until stiff peaks form. Split shortcakes in half horizontally; spoon 1/3 cup berry mixture over each bottom half. 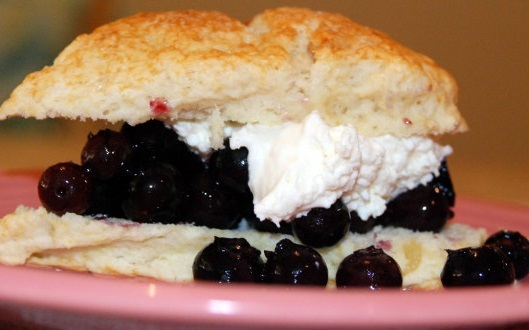 Top each with 2 tablespoons whipped cream; cover with shortcake tops and serve. Now that spring has finally arrived, the focus on food shifts to lighter recipes, with fresh flavors and colors. We crave lighter main dishes and fresh salads. So there are also dessert recipes that are appropriate for spring. Whether you’re searching for a dessert for Mother’s Day or a shower or birthday, seasonal fruits can often provide spring dessert inspiration, as these ingredients are likely to be of the highest quality because conditions are optimal for their growth. Berries, stone and tropical fruit, as well as some citrus, such as limes or Meyer lemons, can be found in the produce section or farmer’s markets. 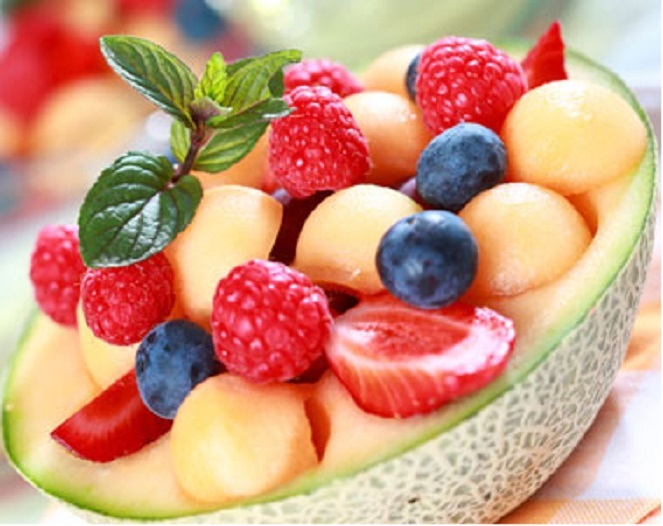 Choose one or two main ingredients to feature for a dessert that highlights the fruit’s natural flavors. For instance, a berry medley does well with little more than a dash of rum, sugar and chopped mint garnished with a little whipped cream. Simple ingredient additions or substitutions can make spring desserts stand out. Lime gives sweet dishes more complexity, adding a tart note. Substituting refined sugar with honey or maple syrup also changes a dish’s texture and sweetness. If you have a recipe in mind but want to give it a spring touch, replacing the main ingredient with a seasonal fruit can be effective. Presentation can substantially affect the appearance of spring desserts. Garnishing with fresh, seasonal flowers or displaying desserts on mismatched antique dishes add color, fragrance and character to your dessert presentation. Simple and sleek dishes can give a gourmet touch and pieces with elaborate designs or patterns can bring to mind homemade and comfort food. 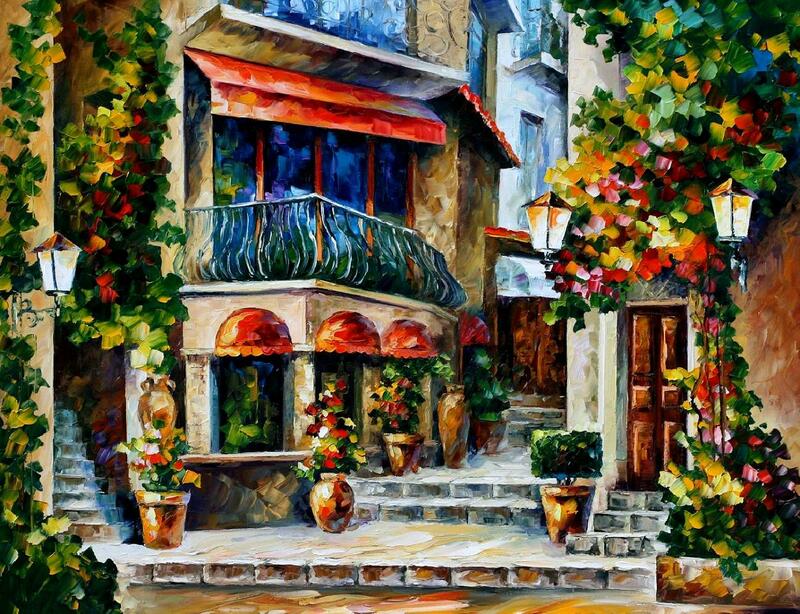 Spring colors and motifs also add seasonal flare to the presentation. 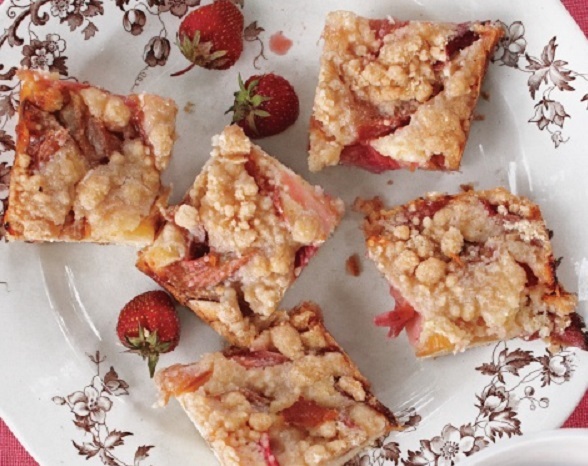 Here are some recipes for healthier springtime desserts. In a medium bowl stir together flour, sugar, baking powder and baking soda. Using a pastry blender, cut in butter until the mixture resembles coarse crumbs. Combine buttermilk and egg. Add to the flour mixture all at once, stirring just until mixture is moistened. Lightly coat a baking sheet with cooking spray; set aside. On a lightly floured surface pat the dough to 1/2-inch thickness. 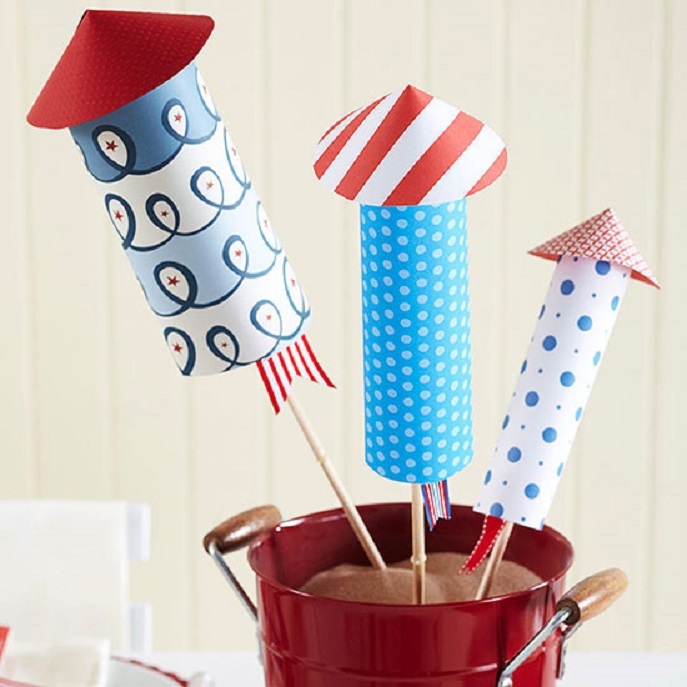 Cut the dough with a floured 2-1/2-inch star-shaped or heart-shaped cookie cutter or a round biscuit cutter, rerolling scraps as necessary. 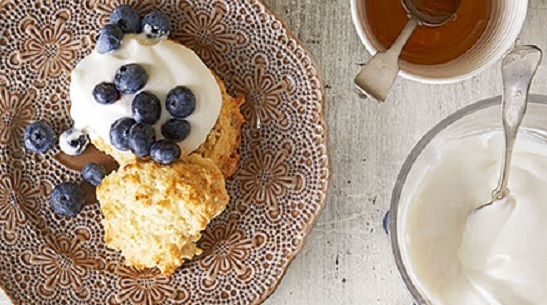 Place shortcakes on prepared baking sheet. Bake for 8 to 10 minutes or until golden. Cool the shortcakes slightly on a wire rack. In a small bowl combine the whipped cream and sour cream. Split the shortcakes in half. Place the bottoms on dessert plates. Divide the berry mixture among the bottoms. Top each with some of the topping mixture. 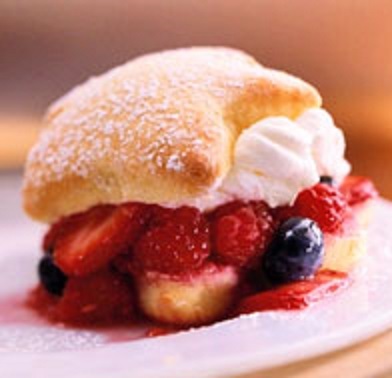 Replace the shortcake tops. In a small saucepan, sprinkle gelatin over the cold water. Let stand for 3 minutes to soften. Cook and stir over medium heat until gelatin is dissolved. Stir in milk, 3 tablespoons sugar and the salt. Cook and stir just until milk is heated through and sugar is dissolved. Stir in Amaretto or almond extract. Pour into four 6-ounce custard cups. Cover and chill about 8 hours or until firm. In another small saucepan, combine blueberries, orange juice, 1 tablespoon sugar and the cornstarch. Cook and stir over medium heat until slightly thickened and bubbly. Cook and stir for 2 minutes more. Stir in vanilla. Transfer to a small bowl. Cover and chill until ready to serve. 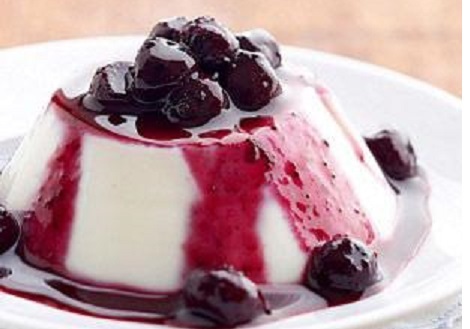 Run a thin knife around the edge of each panna cotta; unmold onto individual plates; top with sauce. In a small saucepan, sprinkle 2 1/2 teaspoons of the gelatin over the milk; let stand for 5 minutes. Bruise mint sprigs by pressing with the back of a spoon; add to the saucepan. Heat and stir milk mixture over low heat just until gelatin is dissolved. Remove from heat. Cool for 15 minutes. Remove and discard mint sprigs; set aside. Place the 1 cup raspberries in a food processor or blender. Cover and process or blend until smooth. Transfer raspberry puree to another small saucepan. Stir in the 3 tablespoons sugar. Sprinkle remaining 1-1/4 teaspoons gelatin over raspberry mixture; let stand for 5 minutes. Heat and stir raspberry mixture over low heat just until gelatin is dissolved. Remove from heat; cover and chill for 15 minutes. In a large bowl, beat cream cheese with an electric mixer on medium speed until smooth. Beat in Greek yogurt, the 1/3 cup sugar and the vanilla until smooth. Gradually beat in the milk/gelatin mixture. Add 1/2 cup of the cream cheese mixture to the raspberry mixture; stir until well mixed. Set aside. Spoon half of the white cream cheese mixture into an 8-inch springform pan. Spoon half of the raspberry mixture into mounds over the white cream cheese mixture in the pan. 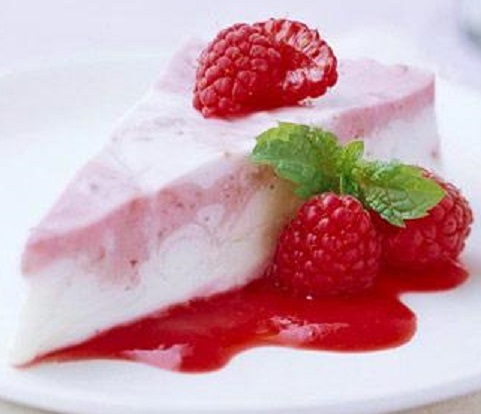 Using a narrow, thin-bladed metal spatula or a table knife, swirl raspberry mixture into white mixture. Repeat layering remaining white cream cheese mixture and raspberry mixture. Cover and chill for 24 hours. Place 2 cups fresh raspberries in a blender or food processor. Cover and blend or process until smooth. Press mixture through a fine mesh sieve; discard seeds. Add honey and mix well. Heat the sauce in the microwave, if you would like to serve it warm. Using a small sharp knife, loosen cheesecake from the side of the springform pan; remove pan side. Cut cheesecake into wedges. Drizzle some of the Raspberry Sauce on dessert plates. Place cheesecake wedges atop sauce on plates. Garnish with fresh raspberries and fresh mint leaves. 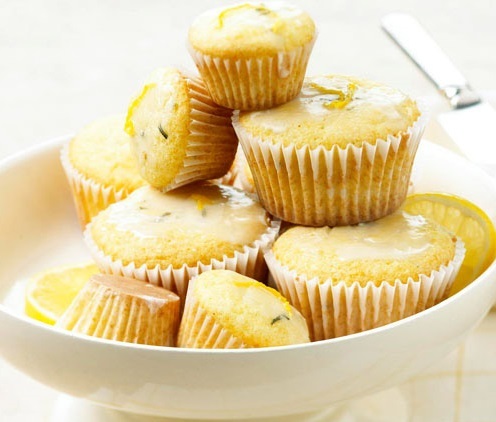 Beat the butter in a medium mixing bowl with an electric mixer on medium to high-speed for 30 seconds. Add 1/4 cup granulated sugar and beat until combined, scraping sides of bowl occasionally. Beat in thyme, lemon peel, lemon juice and cardamom. Add in as much of the flour as you can with the mixer. Stir in any remaining flour with a wooden spoon. Knead until smooth; form mixture into a ball. Divide dough into three equal portions. Roll each portion into a 6×4 inch rectangle (about 1/4 inch thick) on a lightly floured surface. Cut dough into 1 1/2-inch squares with a scalloped-edge pastry wheel and sprinkle cutouts with coarse sugar. You can make the cookies into any size you would prefer. Place on ungreased cookie sheets. Bake for 12 to 15 minutes or until edges are just lightly brown. Transfer to wire racks and let cool. 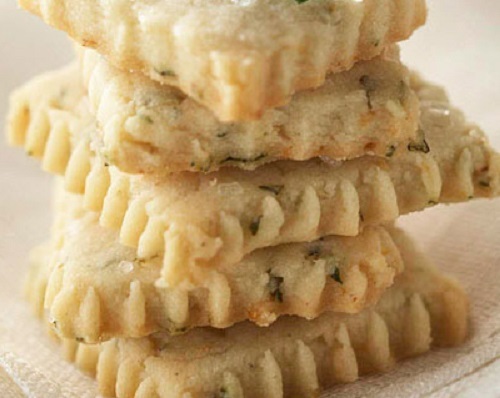 Place cookies in layers separated by pieces of waxed paper in an airtight container; cover. Store at room temperature for up to 3 days or freeze for up to 3 months. Makes 36 cookies. 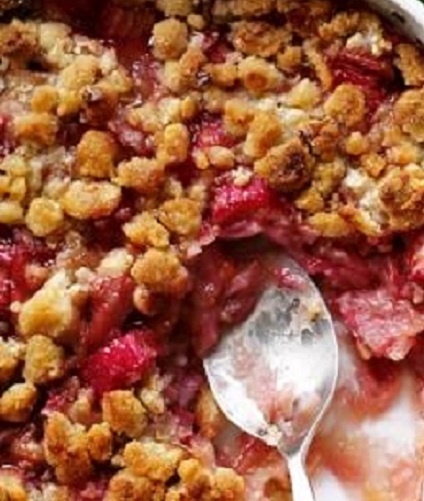 In a large bowl, combine strawberries, rhubarb, sugar, cornstarch and salt. Transfer to a greased 8-inch baking dish. In a medium bowl, combine oats, flour, melted butter, brown sugar and salt. Stir until combined and slightly crumbly. Sprinkle over fruit. Bake until juices are bubbling in the center and topping is golden brown, about 45 minutes. Let cool slightly. Garnish with basil and serve with a scoop of frozen yogurt.